Little munchkins walking down the aisle with flowers on their head is pretty darn cute. So if you or your beloved have a daughter or maybe some adorable nieces, we’re sure you’ve thought about including them in your wedding party. 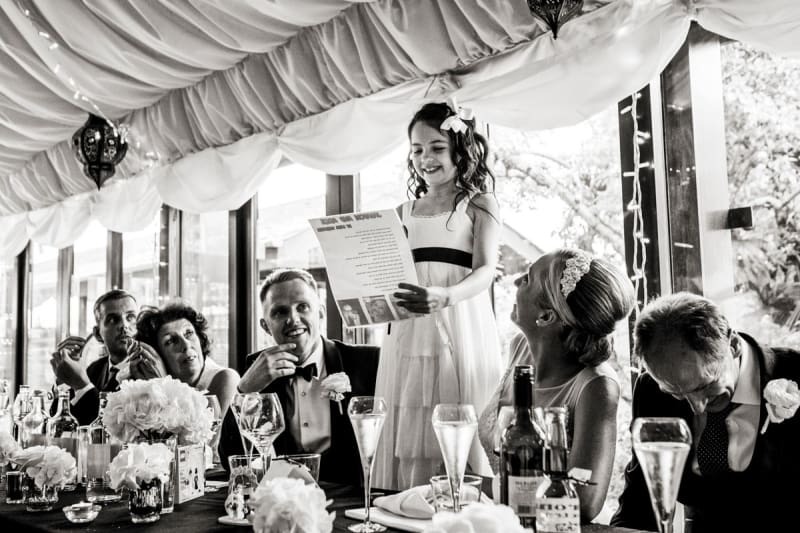 While we all know a flower girl should look sweet, what do you need to think about? Here’s everything you need to know. How to choose a flower girl? Traditionally a flower girl is somewhere between the ages of 4 and 9 (any younger and they might find your wedding a challenge, any older and they are promoted to junior Bridesmaid), she is someone that is close to you (i.e. your sister, niece, cousin, a daughter of a close friend). Sometimes it will be an obvious choice. But, if you are part of a large family, and have more than one potential flower girl, don’t panic, this will only work in your favour! 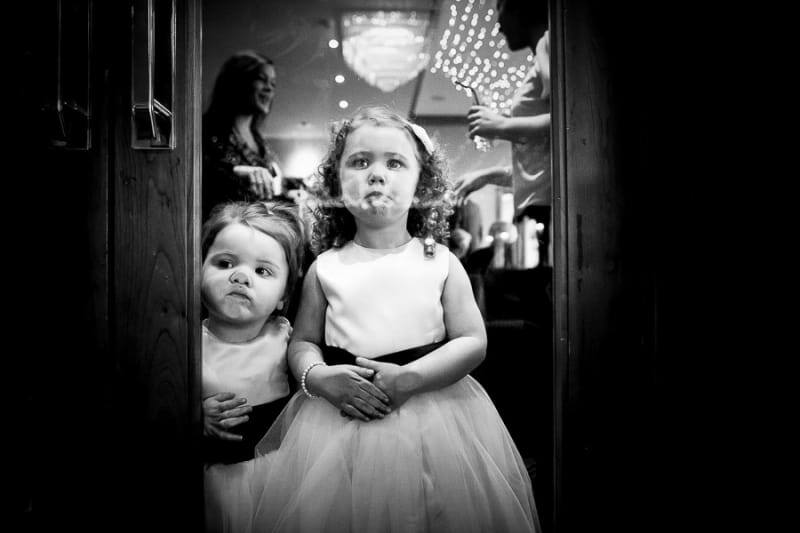 It can be a little bit overwhelming for one flower girl to be the centre of attention, especially if she is very young. Which is why it’s nice to have a couple, so that they can look after one another and help each other too. Besides, if there is a little group of them, they are guaranteed to have more fun and look extra cute! How to prepare your flower girl? 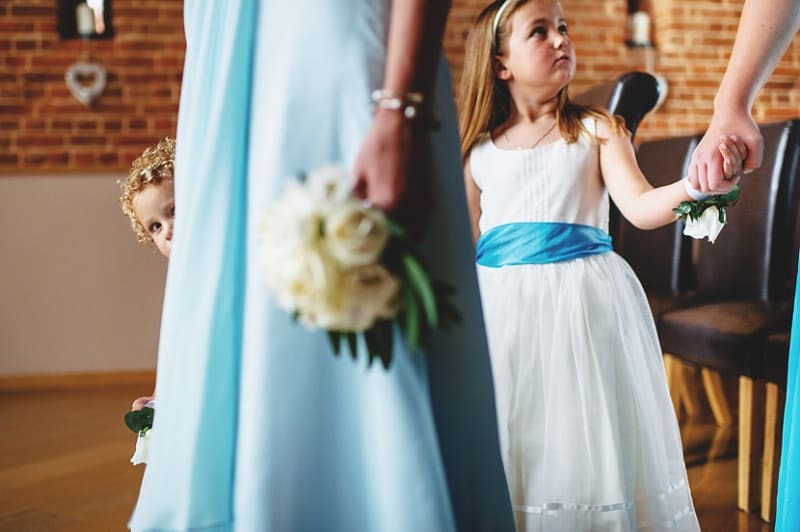 As the youngest (and most adorable) members of your wedding party, your flower girls may not fully understand what and why something is expected of them on your wedding day. A nice way to get your flower girls excited ahead of the big day is to present them with a children’s book about flower girls. (We love this one!) This way, you are giving the parents an opportunity to fully explain what is required of them on the day of the wedding, to calm them if they are feeling nervous and make them feel special. After all, if a book is written about their role, it must be important! Another nice idea is to organise a lunch with all the flower girls before the big day. That way everyone can become bessies beforehand and you can talk them through what they have to do. On the day itself, it’s a good idea to allocate one of your bridesmaids to look after them and make sure they walk at the right time, know where to sit and feel happy with what they are doing. How to dress your flower girl? 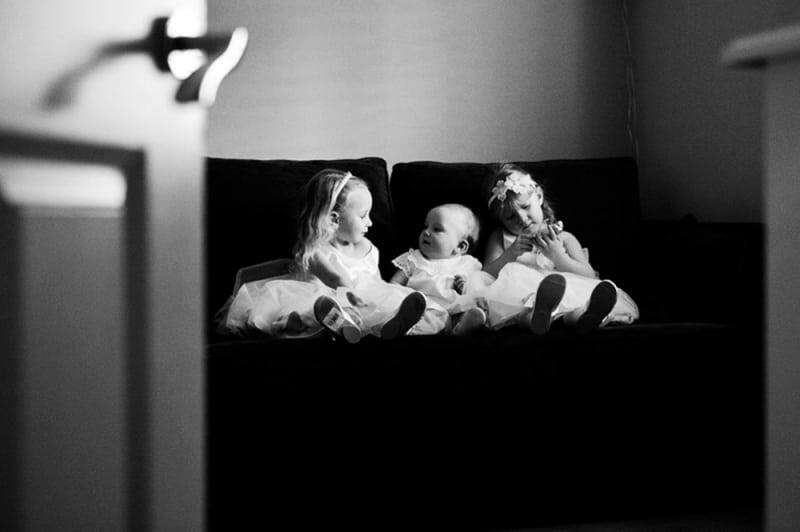 Traditionally, a flower girl’s dress has to strike a perfect balance between the bride’s and bridesmaids’ dresses. The majority of flower girl dresses have the long puffy skirt silhouette with a high neck, with or without sleeves, depending on the weather. 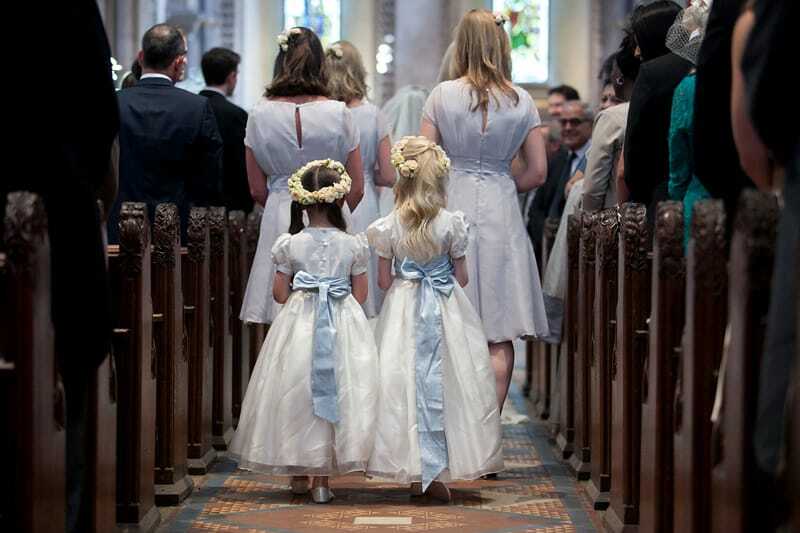 While the long skirts look absolutely lovely and make the flower girls feel like princesses, make sure you choose carefully, so that the girls don’t trip as they make their way up the aisle. We also find that while the majority of dresses are white, they will have a sash, or another small pop of colour, that ties them together with the bridal party. Traditionally the mother of the flower girl pays for the dress, but this depends on your budget and what you are happy with. 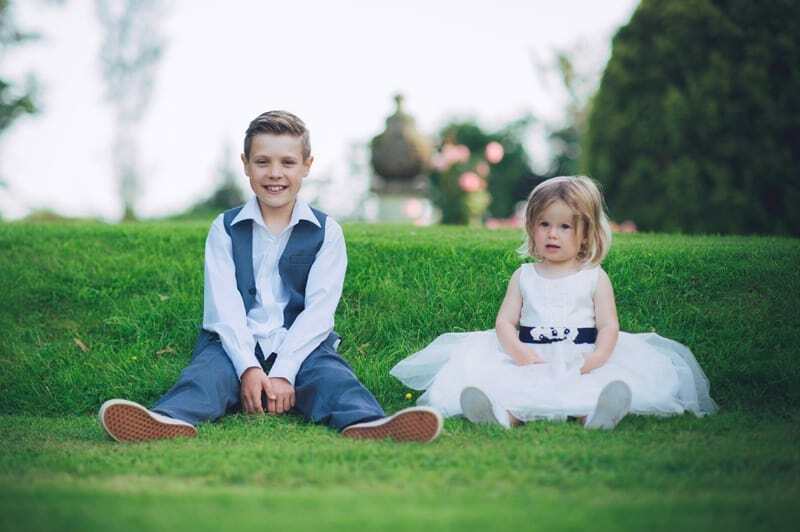 Make sure you order the dresses as close to the wedding date as possible, as children grow exceptionally quickly! The shop assistants will be able to help you, as they have years of experience in this. Be prepared to go up a size from the girl’s current age when ordering, in order to make sure the dresses won’t be too small come W-Day. Instead of (or as well as) a book, some brides give a piece of jewellery or a small gift to the little ones to say thank you for being part of the wedding. Obviously they love this and feel very important! Make sure that the dress design you choose is a practical one, and a comfortable one! Kids run around, fidget and generally don’t have the patience for restricting designs, so prevent any tantrums ahead of time and think cute but comfy.